Home » General » Beware of false news! I’ve been reading about the events leading up to the Glorious Revolution and the overthrow of James II from the throne. 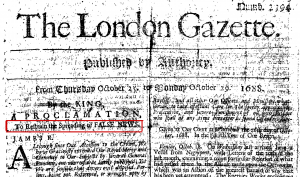 What’s great is that you can read issues of the London Gazette from that time and follow the events as they happened (some digital versions are easier to read than others). 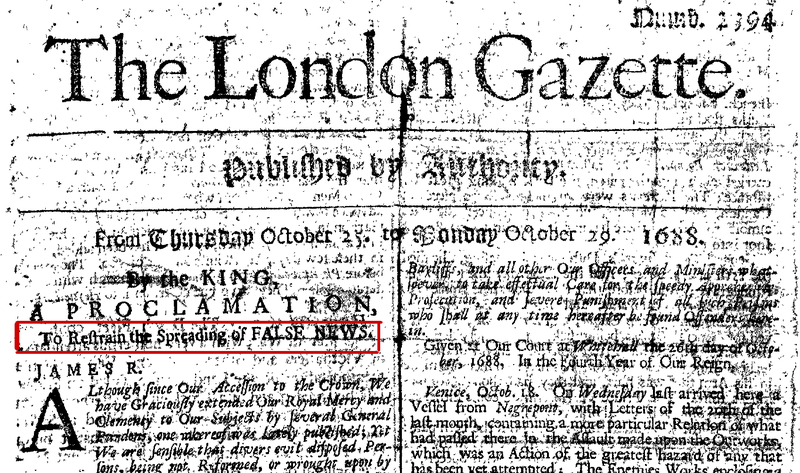 In the October 29, 1688 issue I came across this interesting warning against fake news. 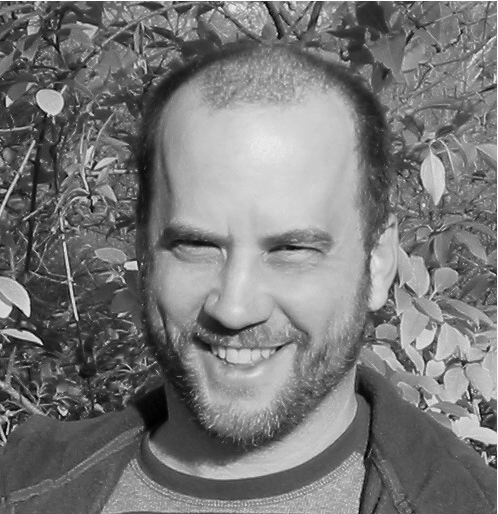 The preoccupations of would-be tyrants 350 years ago seem no different than those of today. In the words of David Byrne, same as it ever was.